The only software your hotel needs to manage and control operations. Anywhere. Anytime. 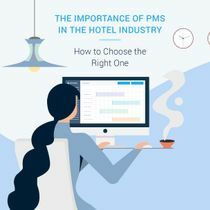 PMS software from HotelFriend provides full automation for your hotel with a user-friendly interface and comprehensive functionality. Addressing the demand for a simple yet efficient all-in-one solution that hotel needs, we put your comfort first. From the booking request to invoicing — Front Desk, Reports, Department Manager, Billing and Payments and more at your service. 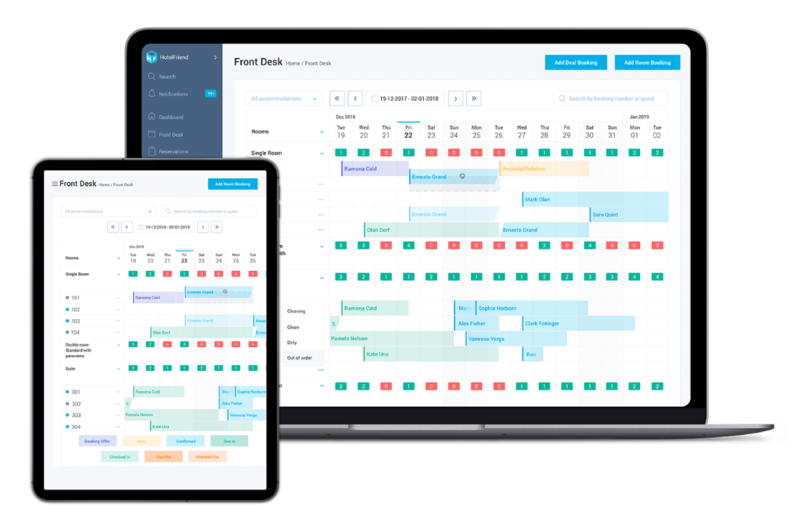 It takes less than 20 minutes to set PMS for work.Start adding information about your guests, making invoices and process payments right now. We have developed a solution for the hotels that it easy and convenient to work with it. 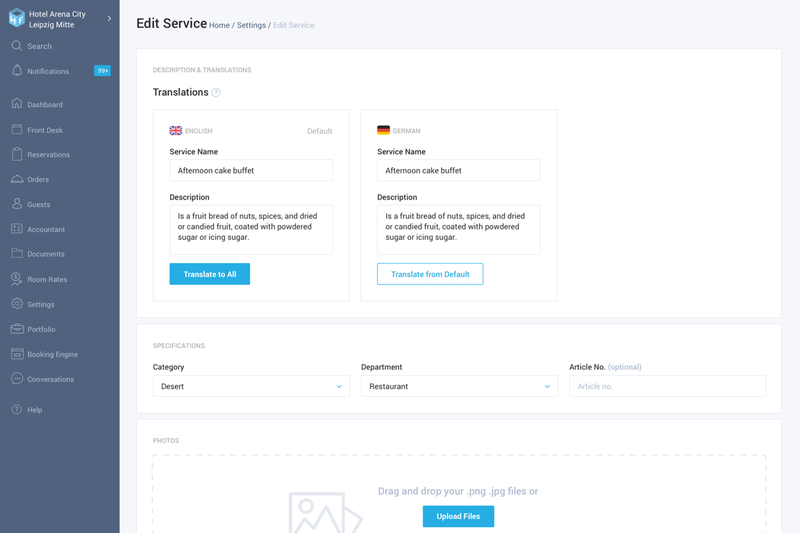 Beautiful interface, accessible menu — all actions are performed with just a few clicks. Event control is an important element of business and is indispensable for every hotelier. You will receive notifications about all actions to respond to them promptly. 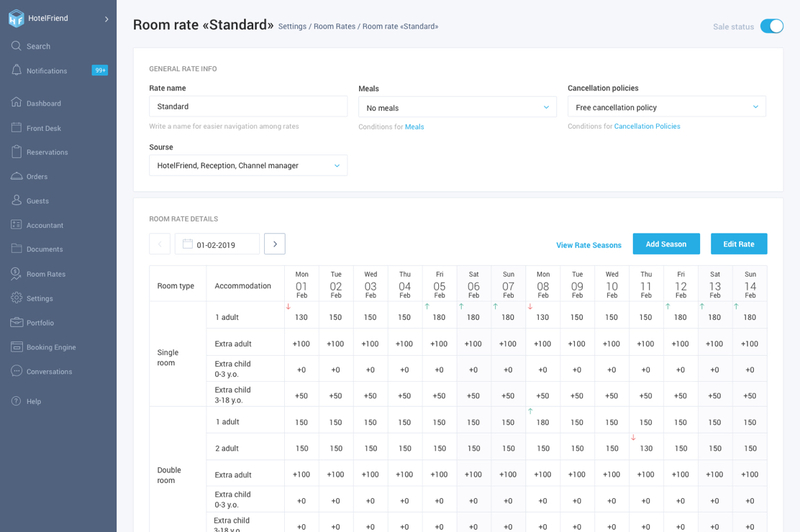 Our open HotelFriend API allows you to integrate instruments and systems you need. Thus, there is no need to discard familiar tools, just add them to your cloud PMS. Our Property Management Software operates in a cloud and is compatible with absolutely any operating system and device. You only need internet access. needs and offer the solution that fits you best. 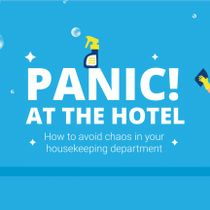 Reorganize the chaos in the hotel business processes in cloud-based PMS from HotelFriend via Front Desk. Manage your reservations, services rates, taxes, reports, check-ins/check-outs and many more. 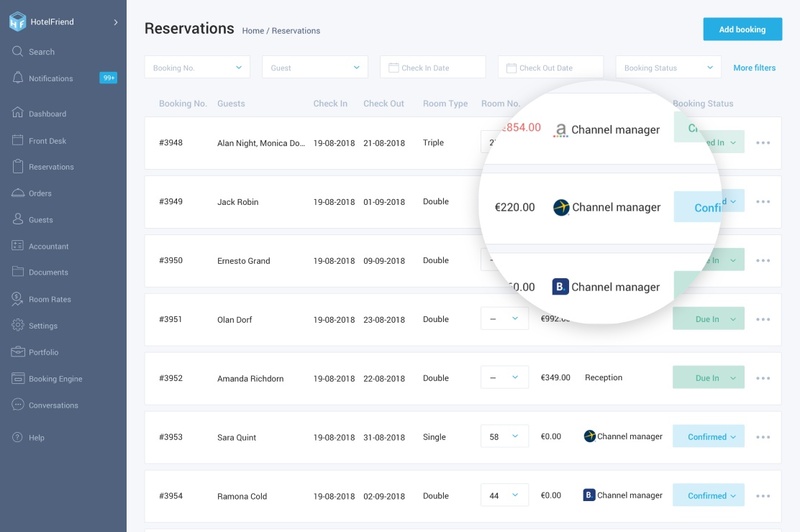 With this tool, hoteliers can more effectively manage an unlimited number of online sales channels simultaneously in real time. Channel Manager allows users to place information on all popular OTA systems, saving time and resources. It protects the hotelier from Overbooking as well as from irrelevant information on prices and packages. 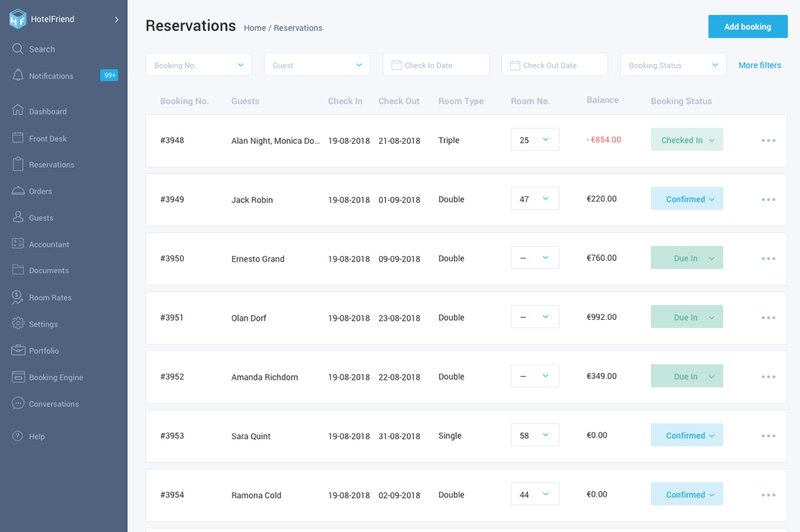 Unlike other cloud property management systems, HotelFriend allows hotelier to manage not only reservations but also services. Set various options for the existing pricing policy for accommodation with or without the type of food. 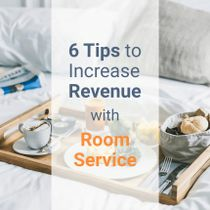 Room Rates tool and its additional modules allow hotelier to add all possible tariff plans by offering the guest a variety of accommodation options. Customize the types of rooms, specify the location, add facilities, change the status of the sale and much more. 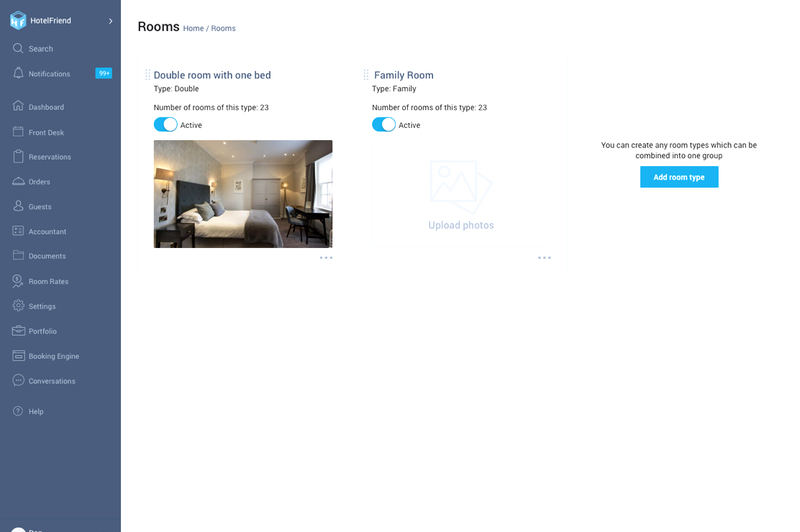 When creating a room type, it is possible to specify all the information about the room: area, accommodation, type, and the number of beds, arrange the amenities in the room, upload photos, create the necessary number of rooms according to their type. 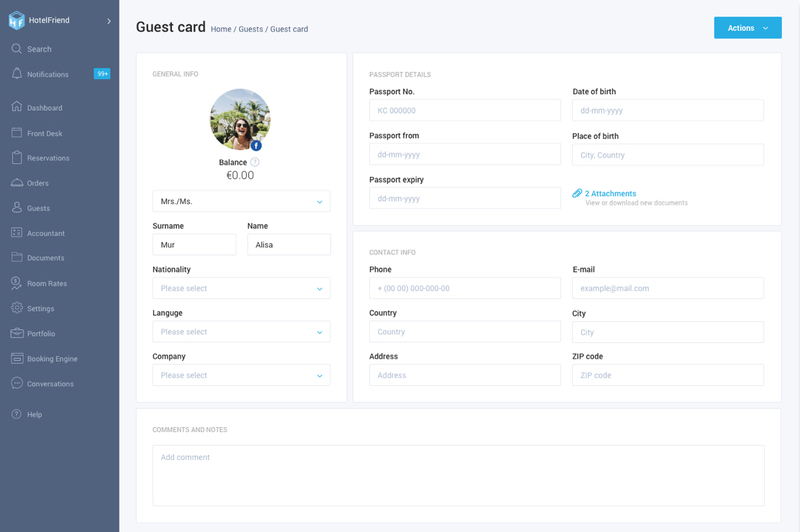 Keep track of your guests and save all the necessary information about them, including personal and passport data, as well as contact information. This is especially convenient for regular guests since you do not have to enter their data into the system from scratch. 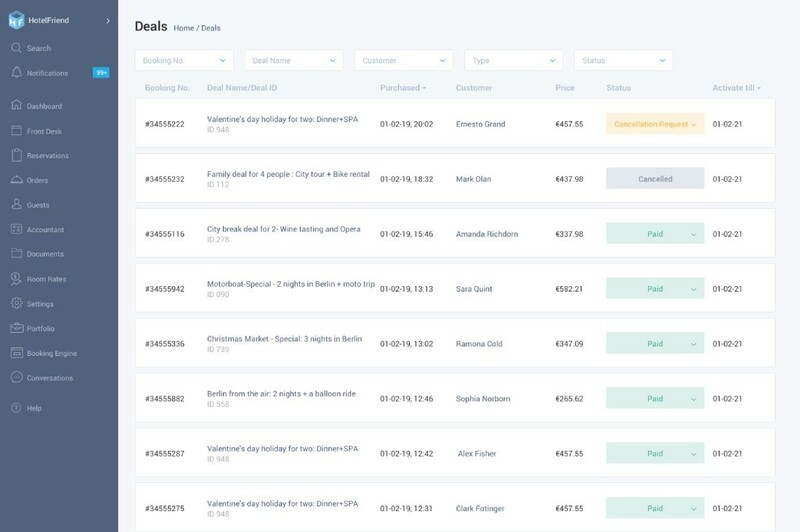 Unique deal constructor, which helps to sell all hotel services and sell rooms online by creating special packages for the guests. Combine everything to a thematic arrangement and attract the holidaymakers looking for favorable offers. A user-friendly and efficient tool for deal generating and sale with the possibility of the customized arrangement designing. Increased income and all services in one place combined with best activities and relaxing options. Full-fledged functionality for placing information and increasing the number of reservation services of various departments. Let your guests enjoy all the extras with services. Notify users of all facility services provided using the HotelFriend mobile app. Allow your customers to be mobile. Automated administration system allows managing departments user settings. After order was placed, the notification will inform about the service status change. 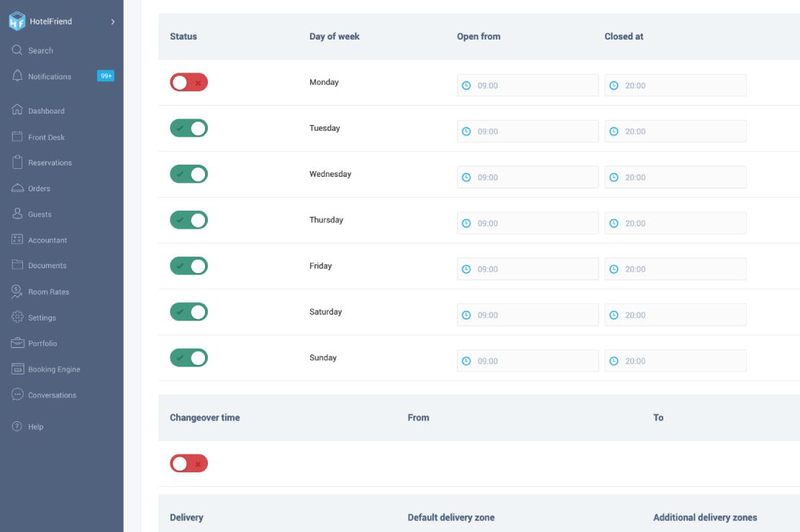 Department managers can operate and change reservation status and monitor guests’ comments. All incoming orders are prioritized by the status and urgency that enables prompt service processing. SPA center or a conference hall hourly rent can be managed from one system. "This product is a game changer!" 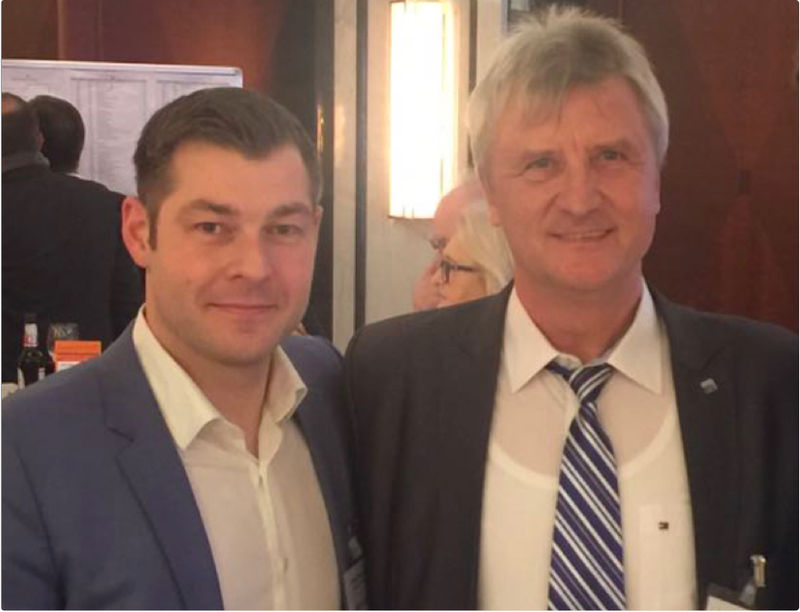 "As a former DEHOGA President and Honorary President of DEHOGA, I am first of all a consultant and a member of the Supervisory Board of this great and innovative product that will definitely revolutionize the entire hotel industry." HotelFriend Property Management Software offers broad functionality tailored to meet the specific needs of the hotel. Just leave a request, and our sales team will get back to you shortly. We will choose a solution to fit both your short- and long-term goals.